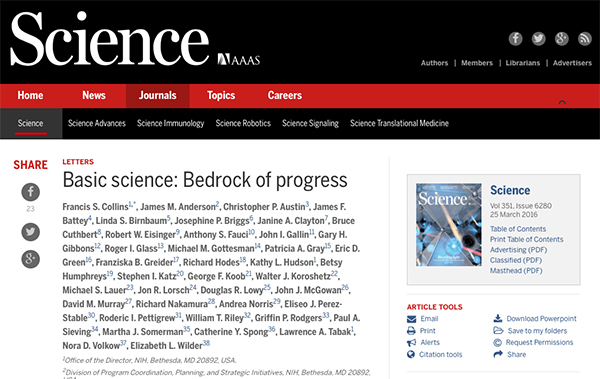 There is an excellent editorial in the 25 March 2016 edition of Science Magazine from Francis Collins et. al. re-stating the NIH position on support for basic science. This is important for anyone applying to the NIH for grants as well as those reviewing NIH grants as the central question should be: “How much will the proposed work advance understanding and progress in the field?”.